Welcome to Worksville, a utopia where dressy elegance is an expression of happiness, and hard labor is the ultimate leisure activity. Diesel continues to revisit its workwear roots with the SS’12 collection and resumes the preview collection’s style concept of clashing the opposing worlds of work and formal garments. While the preview collection had a dirty, polluted and industrial worker theme, the main seasonal collection is by contrast clean and has a lighter, sharper look, adopting a different genre as its inspiration, imagining joyous deliverymen, architects and foremen, whose utilitarian attire is worn as a spotless, proud uniform. 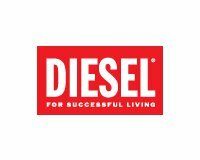 A collection somehow ironic, whilst iconic of Diesel: it invokes the know-how of treatments in reverse mode, clashing and fusing opposite worlds, a look that combines a feeling of tough functionality with a dressy look. This summer a suited Bonton man with a dandy attitude, enters the season with a casual daywear look: jackets, pants, light knits and shirts. Uniform and engineer outerwear are fused with formalwear details, such as double breasted lapels, worn out of context as dressy jackets and coveralls. While workwear pants and chinos are reinterpreted with contemporary carrot fits. The collection adopts an inverse approach to treatments than usual. Rather than dirtying and destroying things that were clean, the effect is of garments that were once dirty but now have been cleaned. Giving a “bleached out” effect that adds to the lighter summer feel of the collection. Such treatments are pushed to the extreme in the “Light Exposure” 5-pockets denim offer, which are the purest examples of true Diesel DNA washes. The usage of classic workwear blue and white stripes and Prince of Wales check fabrics, typical of formal summer suits, is complemented with a color palette elucidated by light ecru, blue and pastel highlighted with contrasting indigo colors. A palette of sage green with off white gives an outdoors feel to lighter garments, including short chinos, polos and short sleeved shirts.